A Difference Maker: Life Transformation! Dawn and I are truly enriched to have such wonderful friends and partners that we minister alongside. Pastor Victor Bravo and his wife, Sol have blessed us in so many ways! We continually give thanks for them and lift them up in prayer. Four years ago the Lord brought us together, and we helped Victor and Sol build and start their new church. The Lord has been working through them and the ministry of the church as they seek to make a difference in the community. Both of them have a lot of energy and they possess many gifts. One of the ways the church is seeking to make a difference in the community of Plan Libertador is they are tutoring students after school. Sol is a trained psychologist and has worked for many years with children in the school system in Tijuana. Since they planted the church she’s wanted to give more time to outreach in the community. She is truly making a difference in the lives of these students and their families. Dawn and I were able to visit Sol this week, and it filled our hearts to see the bright smiles on the face of each young person there. Victor also is meeting with and working with the community leaders, so that the church has an active voice and influence in Plan Libertador. He just met with these leaders this week and planned to pray with them as they met. I love Victor and Sol’s boldness and enthusiasm for the gospel. There’s also the powerful presence of the Lord in their church and those that they are ministering to. Some of the families in their church are going through some real tough trials. I’ve mentioned before 15-year-old Mitchell, who is battling with leukemia. Mitchell has great faith for a young person going through such a trial. Every time we go to visit her in the hospital to pray with her, she has a beautiful smile on her face. Mitchell says that our visits and our prayers encourage her, and give her peace, but Dawn and I always leave astonished and strengthened by her faith. We are believing the Lord for her healing. We’ve seen the Lord work in her life and bring a measure of healing, but we are looking to Jesus for complete and total healing. Mitchell was in the hospital in February when we first met her family. We prayed for her, and in a miraculous fashion, in just a few days she was able to leave the hospital. 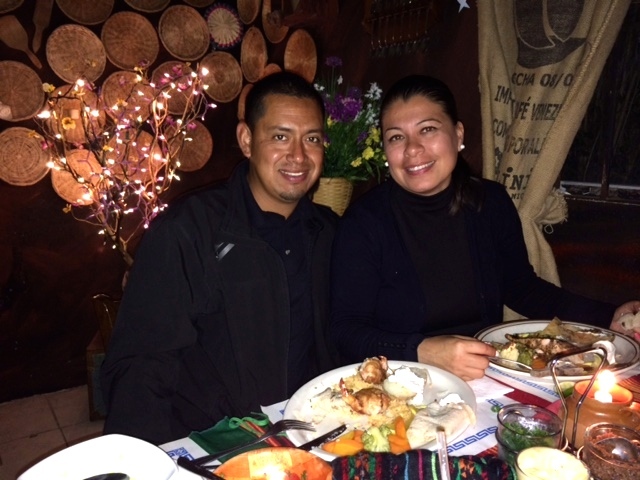 The doctor told Mitchell’s, parents, Miroslava and Salvador that they thought she was going to die in a few days. That was back in February. We were so encouraged when the Lord answered our prayers, and brought her a measure of healing, but battle rages on. Join Mitchell’s parents, along with Victor and Sol and the church as we lift up Mitchell and her family in prayer. Mitchell is in the hospital again receiving treatment for her leukemia. We cry out to the Lord from whom our help comes from. He is our healer, our deliverer, and our strong tower! Pray for Victor and Sol as they minister to those in their church, and as they love on and reach out in their community. Every time I’m with Pastor Victor and Sol I come away encouraged by all the God Stories. The Lord is definitely on the move in Plan Libertador. It’s amazing to think that this church just started a little over a year ago. Victor and Sol told me about Viviana Hernandez and her son, Miguel who recently came to Christ and were just baptized in the church. Miguel is the drum player at the church for the worship team. They came to the church through a friend that attends the church Viviana says, she was attracted to the church by the love shown and the message. She heard the wonderful message of the gospel of grace and she decided to place her faith in Him. Then Viviana invited her friend Carmen. They know each other from nursing school. Carmen’s husband is a bodyguard. They have a growing interest in the gospel. Another person who recently came to Christ is Lupita Rodriguez. She’s 22 years old and she was also baptized into the church. She invited her mom to church. Lupita’s mom has a number of health problems, so they’ve been ministering to her and praying for her. Lupita is grateful and her mom is encouraged by all the love they’ve received. Lupita has a contagious faith and she started sharing the gospel with her cousin, Cristal and she has started attending the church. God is moving through his people. Babes in Christ. The church is ministering in an orphanage in the community – it’s called Nueva Generación – New Generation. Sol, who is a trained psychologist is meeting with the children and their parents. They have 17 children and the directors are coming to the church on Sundays. The ministry is growing as they lovingly share the message of Jesus. Victor and Sol are two of my heroes, and I think if you knew them they would also be your heroes. To God be the Glory! Dawn, Hannah and I had a wonderful evening with Pastor Victor Bravo and his wife, Sol and their son, Abraham this past week. It is evident that the Lord’s hand is upon them as they are ministering in Plan Libertador, Lo Mejor del Trigo’s 24th church. 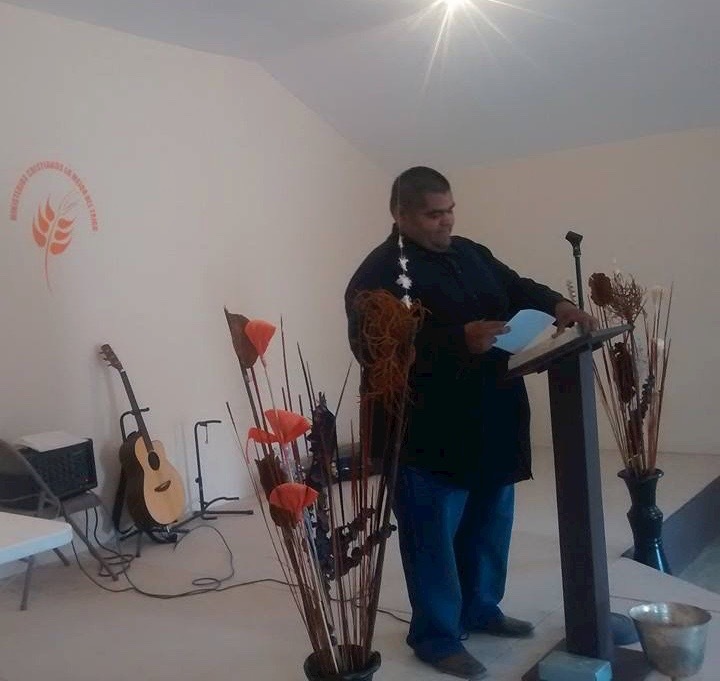 The church held its first service in March of this year. Victor and Sol have been very active in the community. They are handing out flyers to let their neighbor know about the new church. They are taking food to people in the hospital. They are organizing soccer games. They’ve even partnered with the San Diego – Baja YWAM team to build some homes for the poor. New people are coming into the church. They are encountering Christ for the first time and many of them are coming into a personal relationship with Jesus. Victor said that many of the new couples are living in “union libre” (they are living together, but aren’t married). Victor began to pray and ask God how to minister to so many people who were living together as if they were married, even though they weren’t. God answered Victor’s plea. He reminded him that even though they didn’t have their lives all together they could still serve. They could take food to the hungry. They could help hand out flyers. They could visit the homeless. As Victor and Sol have lovingly shared with these young believers many of them have started to ask them about getting married. They are talking about fixing the church up to make it look nicer for the weddings! The gospel is changing families! God is bringing about life transformation! Praise be to God! Pray that this young church will continue to grow, and to share the love of Christ with those in the community of Plan Libertador and Beyond. God is at Work, Hallelujah! I’m amazed by how the gospel advances in spite of the opposition we face. Our family has been going through some major trials, but we see God at work right before our eyes. It lifts us up! The Lord is doing a mighty work through the churches that we’ve come alongside and helped to start. When Dawn and I meet with the pastors we come away encouraged by their stories of grace. Yet they also tell us of the difficulties they are encountering. Someone said that, “dogs don’t bark at parked cars.” In the same way the enemy of our soul doesn’t come after us if we aren’t on the move. 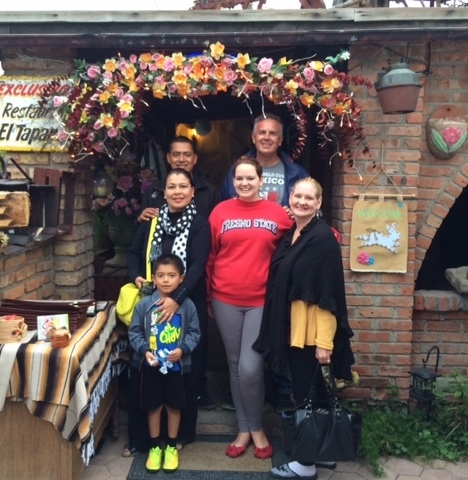 Pastor Victor Bravo and his wife, Sol are leading the church in Rosarito in the community of Plan Libertador. They have a young man who is serving with them, Cristobal, who has a heart for the Lord. Cristobal is going to Bible school preparing for the ministry, but he’s also been supporting the work in Rosarito. The week before the inaugural service on Palm Sunday, Cristobal was staying at the church to care for it. This was quite a sacrifice as the church has no running water, so he was roughing it. The problem is that often when these new churches are built if no one is there to watch over the property thieves will break in and take advantage of the situation. While Cristobal was at the church before they held the first service an expensive car drove up to the church. This church is built in a undeveloped community, and the road isn’t paved, so they don’t get many luxurious cars coming through. The car stopped in front of the church, and a woman dressed very nicely got out. She didn’t look like she belonged. The woman began to talk to Cristobal about the church, and she told him that she would give him a large sum of money if he would leave the church and go with her. She didn’t want the church to open. Her offer was a deliberate attempt to stop the work of the church. Cristobal didn’t take her up on her offer. She offered him a substantial amount of money, but he knew where his true treasure lies. When I heard this story, I thought, wow! The enemy doesn’t like the church invading his territory. The kingdom is advancing, Hallelujah! The light is growing and even a small amount of light drives back the darkness. Continue in prayer for pastor Victor and Sol as they lead this new work. Pray for Cristobal as he is just starting up his Bible school semester this week. Praise the Lord with us that the church is growing and that the kingdom is advancing. The gates of hell shall not prevail. 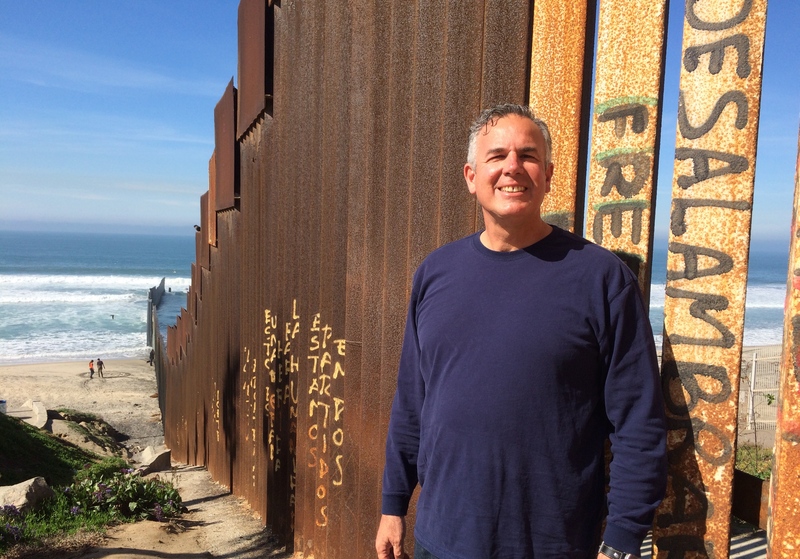 I continue to be amazed by God’s work of transformation on the border. What a wonderful God we serve! 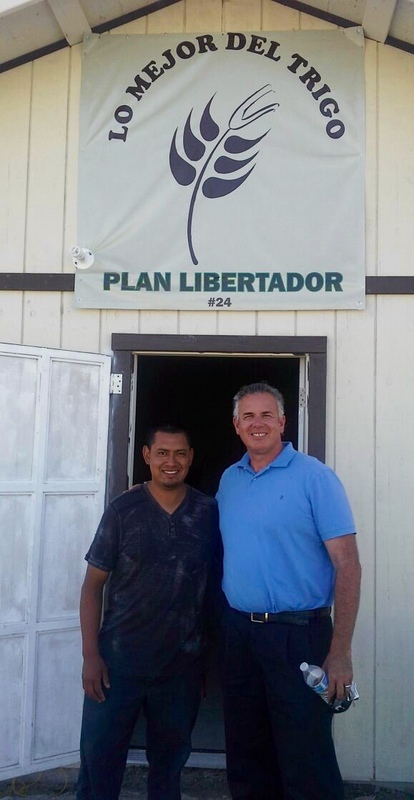 The new church plant in Rosarito, Lo Mejor del Trigo Plan Libertador is off to a great start. 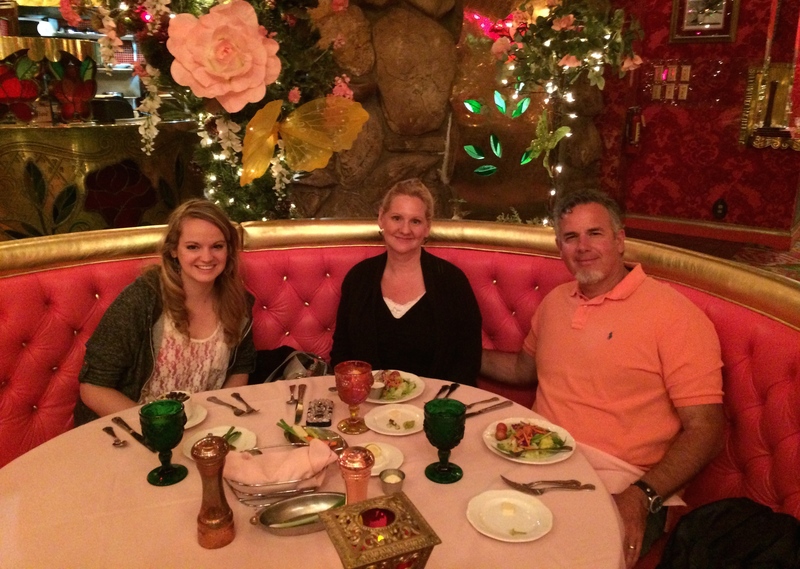 Dawn and I had dinner with Pastor Victor Bravo and Sol this last week. It was so good to hear more of their story as well as what God is doing in their church. The church is only four weeks old, and they already have 20 adults and 15 children coming to their service. Today (Sunday) they celebrated día del niño (children’s day). They blessed many children in the community, and in doing so shared the love of Christ. When Dawn & I talk to Victor and Sol about the church their faces light up and they start telling us about their vision for the church. They want to offer after school tutoring for children in the community. A huge need. Soon a big factory will be opening near the church, and they want to reach out to the people who will work in that factory and minister to them and their families. Those are just some of the ideas they have. I’ve seen over the years that building a firm foundation, having a good beginning plays a big part in determining the success of the church. 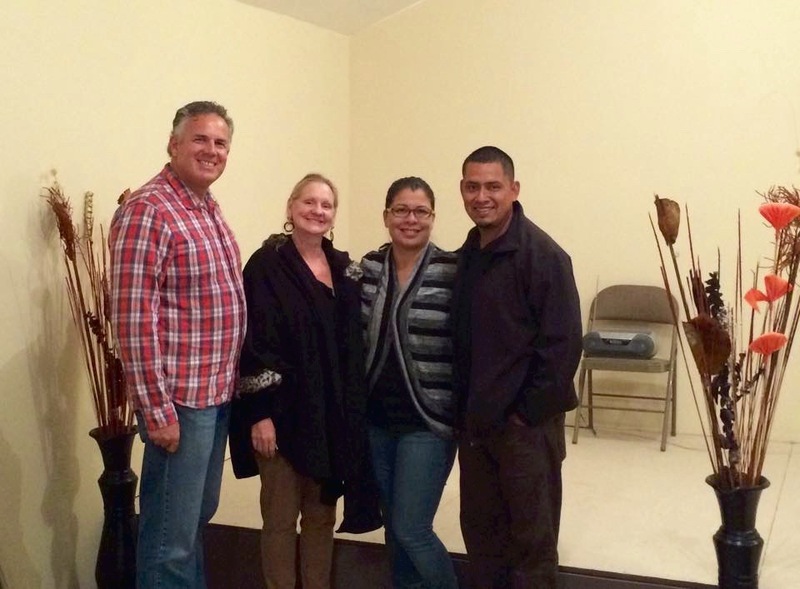 Continue to hold up Victor and Sol as they lead the church and reach out in the community. Pray that the Lord continues to give them a large vision for their church and that he enables them through his Spirit to see their vision realized. 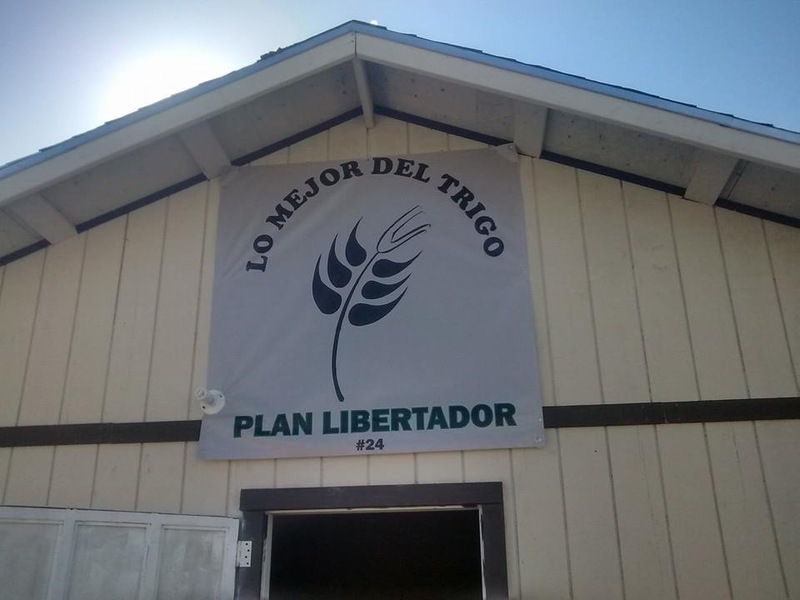 God is a big God, and he has big plans for Victor and Sol and the church in Plan Libertador! Do You Feel Like the Sky is Falling? I read an interesting article this week that referred to the effects that the bombings had on the English in WWII. The Germans thought that if they bombed the English in their homeland that it would dishearten them. They thought it would weaken the English. Interestingly enough it had the opposite effect. It emboldened the English. The people begin to think, if I could survive a bomb I can survive anything. 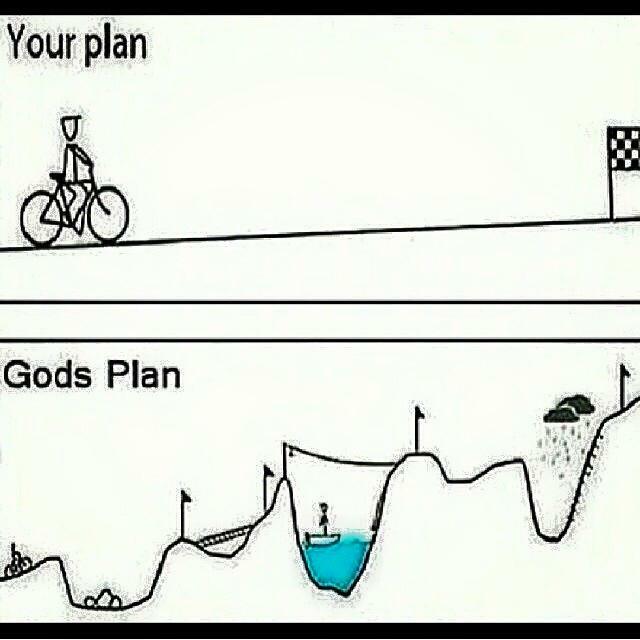 I think that’s a great picture of how God uses trials in our lives. We don’t like the curves in our lives. Maybe we’d like a little more routine, but the Lord uses the valleys to strengthen us. That’s what Dawn and I are finding as we traverse this long and winding road. I’m not saying that we don’t get down. What I am speaking to is how we grow, and we are strengthened even when it seems like there are explosions going off all around us. Maybe that’s what the Psalmist is feeling when he wrote Psalm 46. Even though everything around us is falling apart, we do not fear. We are not afraid, because God is there. The Lord holds everything together. When things seem chaotic they aren’t. God brings order out of chaos. He has a purpose in it all. Our family has been walking through this trial with our daughter for two months now. It’s been a journey filled with low points and high points. The only constant is that God is there, and he is carrying us through it. He is our rock and refuge. Hannah reminded us the other day that she wants to love God and enjoy him forever. Which is the answer to the first question of the Westminster Shorter Catechism. What is the chief end of man? 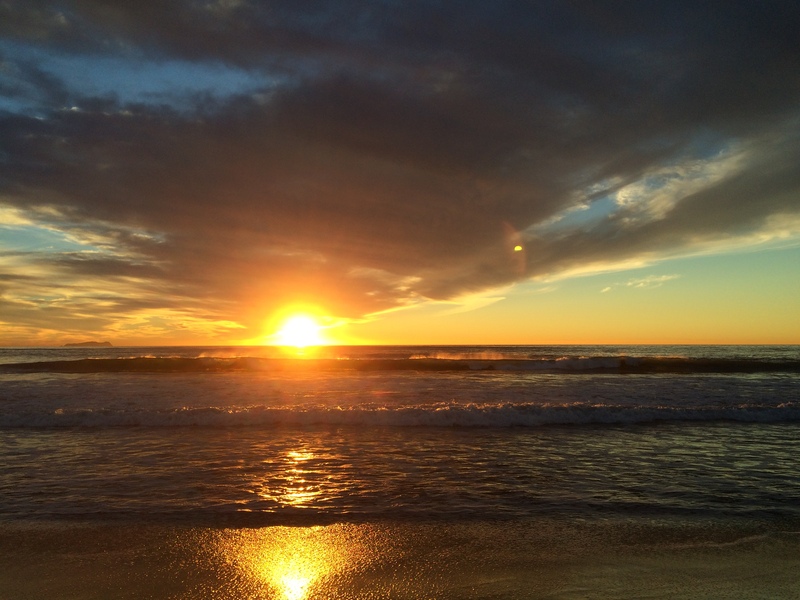 As we seek to love God and enjoy him forever there are the good and bad moments. There are the high points and the low points. The Lord is refining us and making us into a pure gold. I’ve been encouraged as our friends have come to me and said that the things I’ve written on this blog have encouraged them. When I write I feel like it’s cathartic for me. It also gives me joy to know that the Lord is using it to minister to others. I do pray that it will strengthen you in your journey. Your love and your prayers do lift us up. I’m amazed that even in this turbulent time, that the Lord is doing so much. The church is growing. The kingdom is advancing. This Sunday we will be celebrating the inaugural service for Lo Mejor del Trigo’s 24th church! God is so good. We feel privileged to serve him, and see such awesome advance!